LG defeat their former teammate to snag their fifth victory since being sent to the losers bracket. The final day of the Call of Duty World League Championship kicked off with a match that pitted former teammates against each other. Former Rise Nation players Nicholas “Classic” DiCostanzo, Sam “Octane” Larew, and Josiah “Slacked” Berry spent the entirety of Black Ops III with Daniel “Loony” Loza. But today, as a part of Luminosity Gaming, they defeated their former teammate and eliminated him from the $1.5 million CWL Championship. 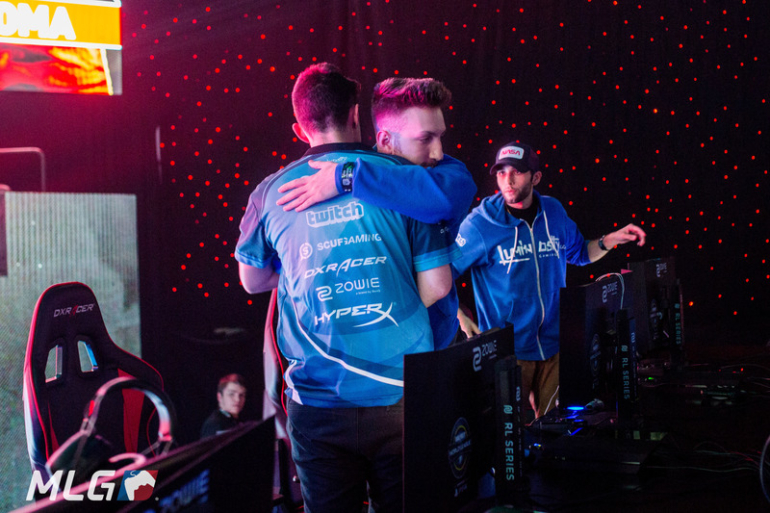 The series began with Throwback Hardpoint, a game that Luminosity controlled with their slaying. Slacked took over the game with his 40-kill performance, but his teammates Octane and Renato “Saints” Forza helped out too as they both finished with at least 30 kills. On the other side, Rise Nation’s Tyler “FeLo” Johnson did everything he could, but his 37 kills weren’t enough due to Brice Faccento and Ulysses “Aqua” Silva combining for only 37 kills. LG was predicted to take the Hardpoint, but they surprised people with their Search and Destroy play on Breakout. Rise had one of the greatest days imaginable in the game mode on Saturday, finishing 5-0 in games and 30-3 in rounds. Despite this, Luminosity stunned Rise and took the game behind Octane’s 12-6 scoreline. Rise fought back and kept their championship hopes alive for another game with a 6-3 Frost Uplink victory. Presumably feeding off the moment, Loony took over in the third map and finished with nearly 30 kills. In the final game of the series, Scorch Hardpoint, Luminosity’s HP prowess was on display once again. After being down at the halfway point of the game, LG turned it on and ran away from Rise, despite Faccento and Aqua rebounding from their horrendous game one. The duo finished with nearly 50 kills on Scorch, but FeLo struggled this time. His 14-24 scoreline was the worst in the entire game, and was a massive letdown after such a great first map. Rise’s surprising tournament run is over as they finish in fourth place at the final Infinite Warfare event. With their win, Luminosity’s historic losers bracket streak continues. They were knocked down to the losers bracket after a loss to eUnited in the first round of the championship bracket on Friday, but they have somehow found a way to win in each of their next five matches. After clinching a top three finish, LG will face off against the loser of OpTic Gaming vs. Team EnVyUs later today for a chance to play in the Call of Duty World League Championship grand finals.